Tomahawk's redesign does away with the offensive mismash of Native American stereotype imagery and replaces it with... a slightly different offensive mismash of Native American imagery. 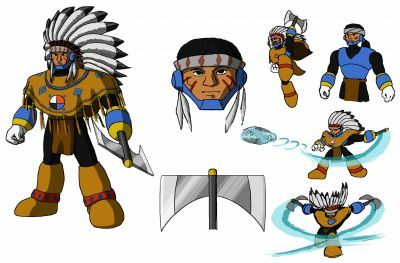 I tried to focus on Apache designs since it would fit with his desert stage in MM6, only to find out later on that war bonnets and tomahawks, the two most important aspects of the character's design, probably weren't used in that region. I may make a revised design focusing on Lakota imagery at some point. 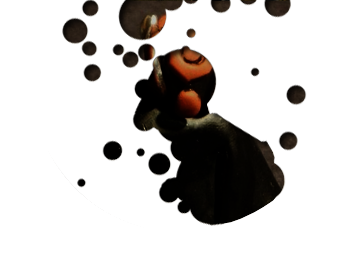 Until then, I still kinda like how this design turned out, flawed as it is.